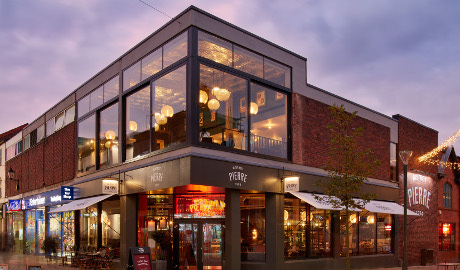 The two-floor restaurant, with space for 170 diners has impressive floor to ceiling windows, stunning French-styled interiors, a bar area and outside seating, and has proved popular with diners in and around Altrincham. Nicole Mangan has worked for Bistrot Pierre for two years and has a passion for food and delivering a truly authentic dining experience, which has led her to her new role at the busy Altrincham restaurant. Nicole said: “I have held a number of roles in hospitality - so I really understand the industry and what it takes to deliver excellent customer service. 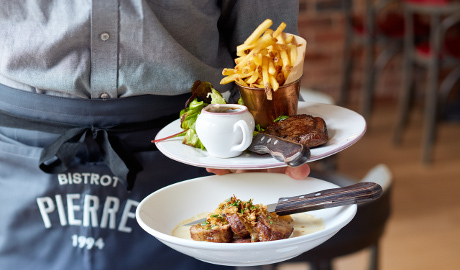 Bistrot Pierre prides itself on its fresh, French flavours – with the introduction of its new spring/summer menu due to launch 20th March, Nicole believes that there’s never been a better time to dine at Bistrot Pierre which offers great value for customers. “The new menu will feature a mixture of classics - including boeuf bourguignon maison and confit de canard - as well as exciting new dishes perfect for the arrival of Spring,” added Nicole. 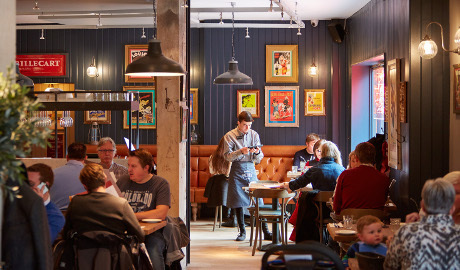 The popular lunchtime prix-fixe menu, which changes bi-monthly, is also available seven days a week with prices from £9.95, £11.95 and £13.95 for one, two or three courses. The Winter prix-fixe menu is available from 5pm all evening Sunday to Thursday until 19th March, offering two courses for £14.95. School friends Rob Beacham and John Whitehead co-founded the business in 1994 and have since grown the business to open sites across the UK. “Although we have grown, we ensure that our ethos remains the same,” said Rob. You can join us for a leisurely breakfast as well as lunch and dinner. To book your table, call 0161 925 5750 or book online at https://bistrotpierre.co.uk/book-a-table.